The Wakefield light oak shaker kitchen is the perfect compromise between a traditional and a contemporary kitchen style. In addition to the light oak shown here, the Wakefield range is enhanced with different colour options; ivory, painted and sanded. 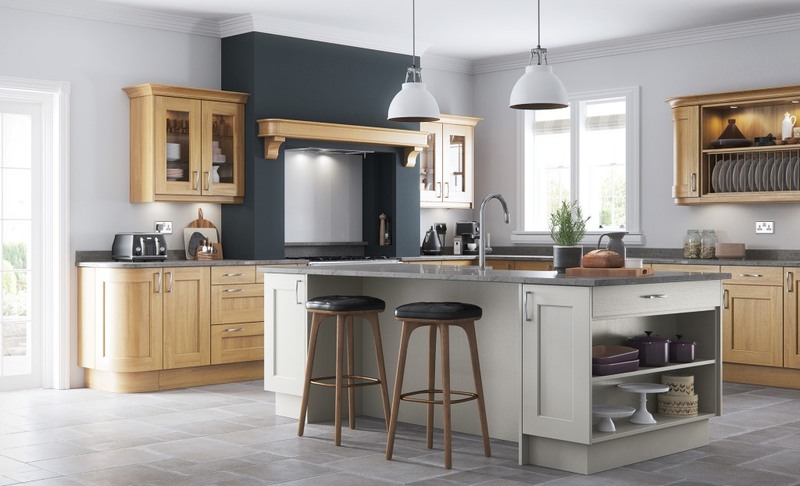 The combinations available enable you to be flexible with your kitchen colours, such as the light oak and painted stone kitchen units shown below.